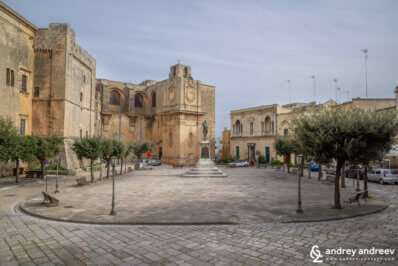 Lost in Salento – I am considering giving this name to my series of articles about Lower Salento, Southern Italy. 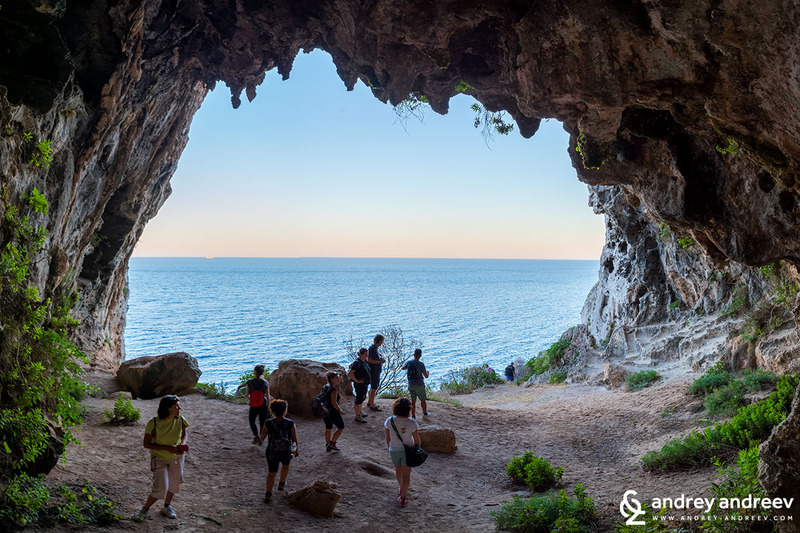 It is an incredible place, almost unknown for tourists outside Italy. Most of the places are unknown even to Wikipedia but I am determined to tell as much as I can about them, because the area is really worth. 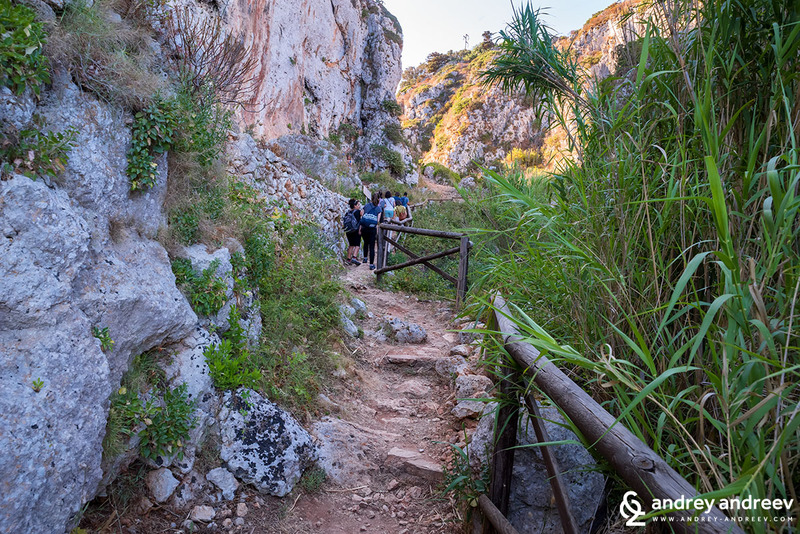 Now I will show you one of the most stunning beautiful places there – the trekking route from Ciolo to Cipolliane. 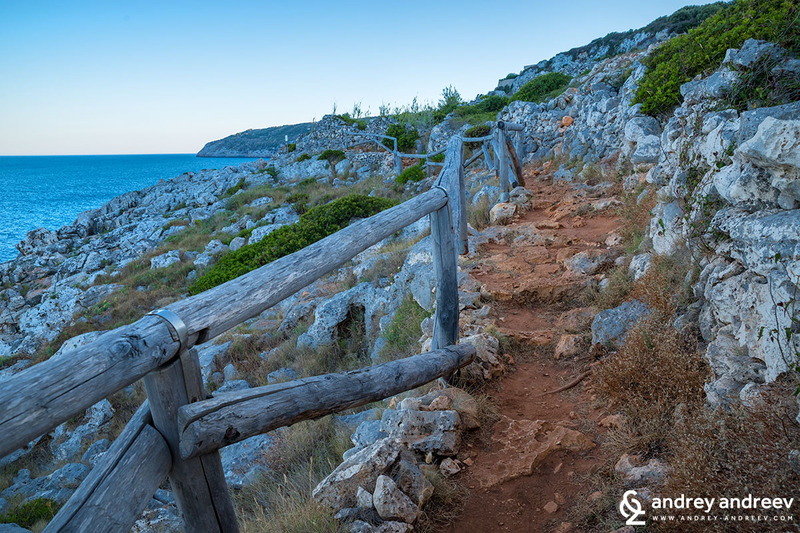 Who would ever think that he could go trekking in Salento, when this beautiful area is mostly known for its summer resorts? 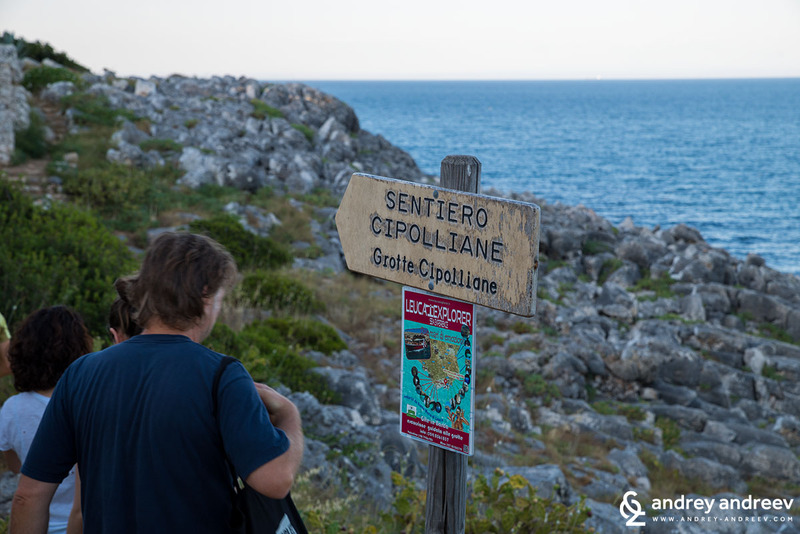 Well, Salento surprised us once again and here we are – trekking in Salento! Ciolo fjord – I never imagined that there are fiords in Italy! Somewhere near Gagliano del Capo, on the Italian boot’s heel, Adriatic sea makes a small and beautiful fiord, named after a bird. In Italian Ciole means magpie and these small birds are common inhabitants of the area. The fiord is actually a deep and steep canyon created by the water erosion on its path to the sea. We started our walk from Ciolo bridge (Ponte ciolo), passing just above the canyon. 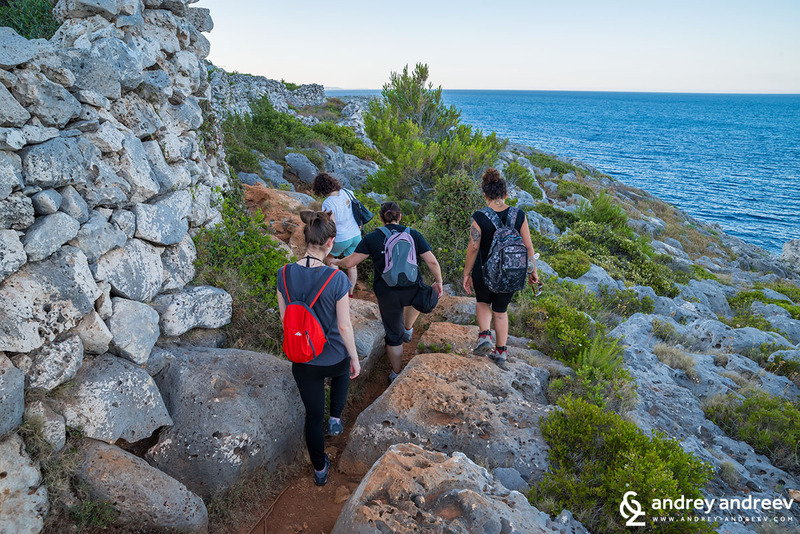 The late afternoon is a good time for trekking in Salento because the weather is not very hot and you could enjoy the stunning sunset light. Just under the bridge there is a small bay with a tiny beach, which is usually crowded. We skipped swimming under the bridge (I am a bit sorry about this) and headed to our trekking experience. 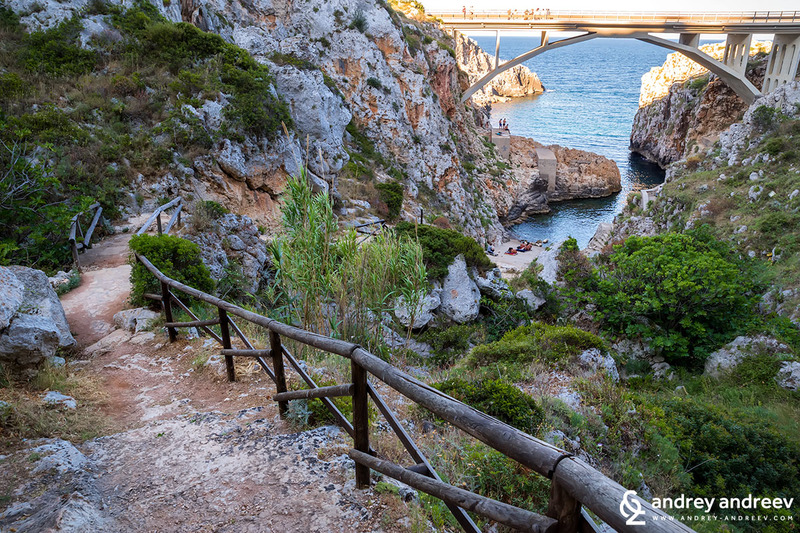 Around the bridge there are several opportunities for trekking in Salento. 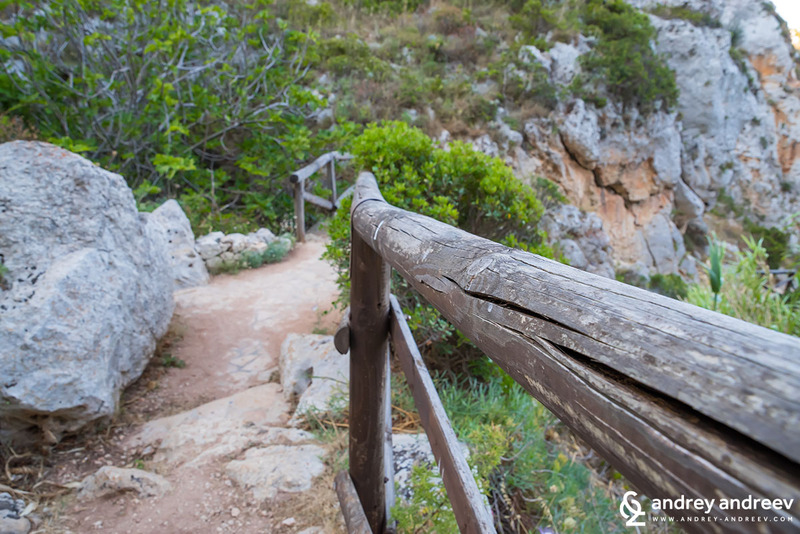 One of the paths goes to Gagliano del Capo and the other one – to Cipolliane caves. 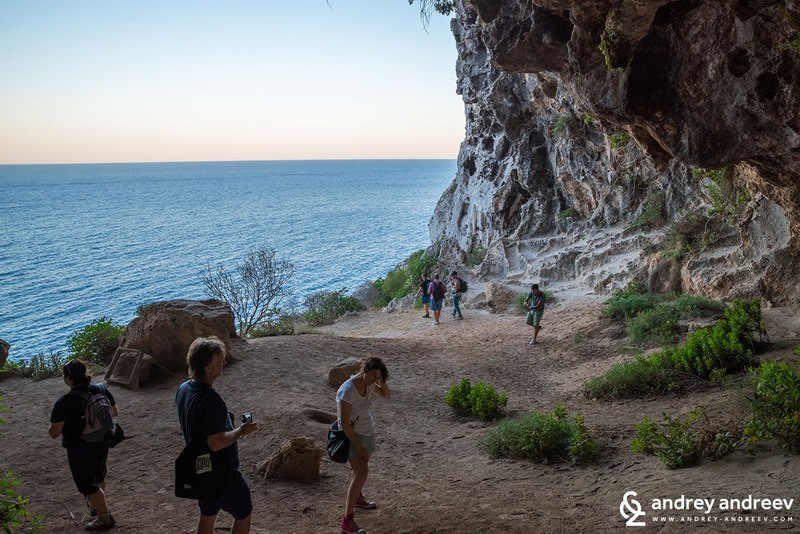 We took the second one that led us through the cliffs to the beautiful caves. 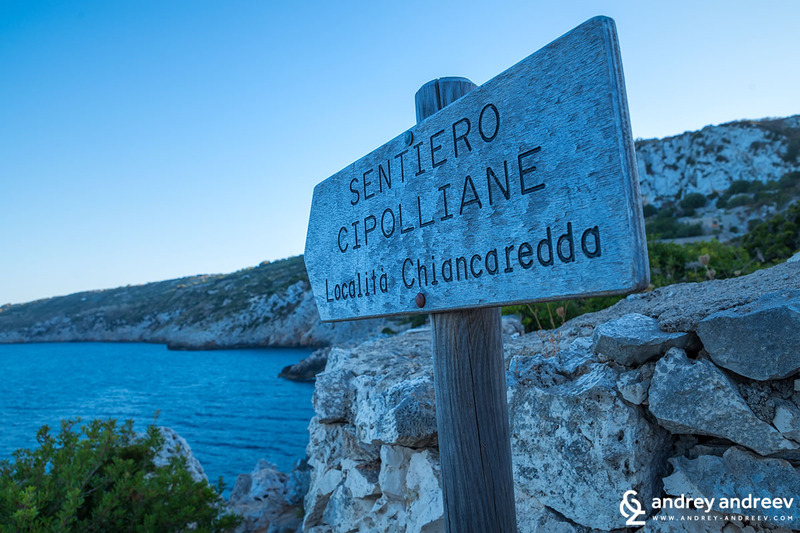 Cipolliane trekking path starts from the small fiord and continues by small villas, many cactuses and stone fences. 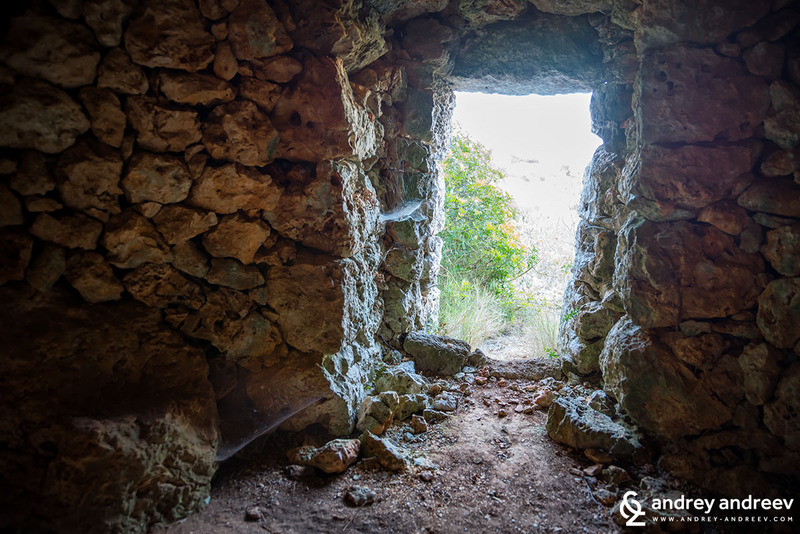 We were amazed by the many stone structured in the area. They appeared old farm fields, separated by stone fences that also acted as a watering system. 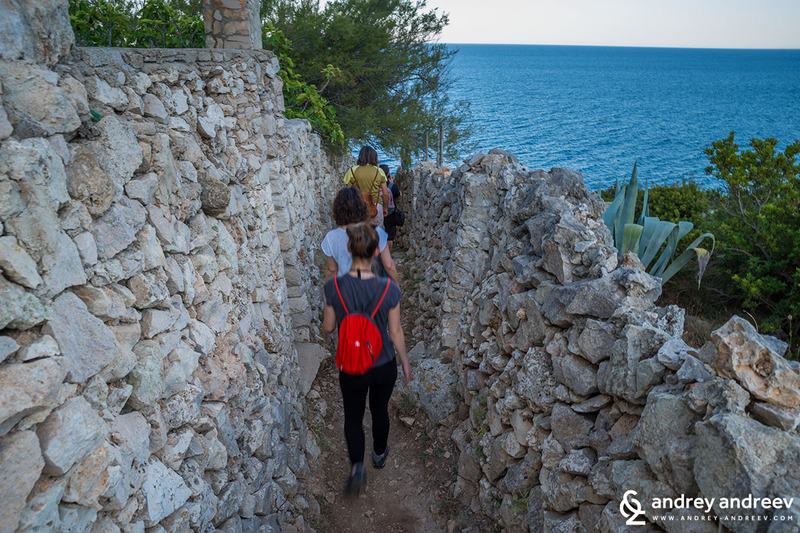 This walk was the perfect fit in our busy schedule through the beautiful small towns of Salento. We were happy to enjoy some fresh seaside air and also become closer with our colourful international group. 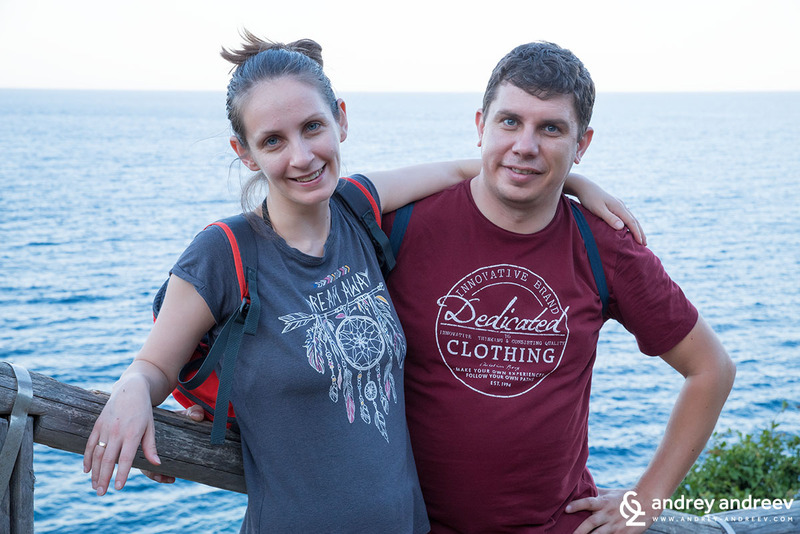 The whole experience was really rich and funny because we not only had the chance to see amazing places, but also to know better our trip mates from our colourful international group. 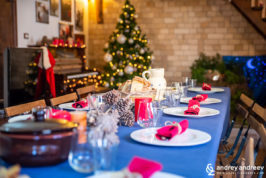 Just try to imagine what we looked like: me and my wife, from Bulgaria; Ewa and Kristof from Lodz, Poland; and several Italians from Sardegna, Milan, Salerno, Bologna, and of course our local hosts from Salento. The trekking path is about 2.2 km long. 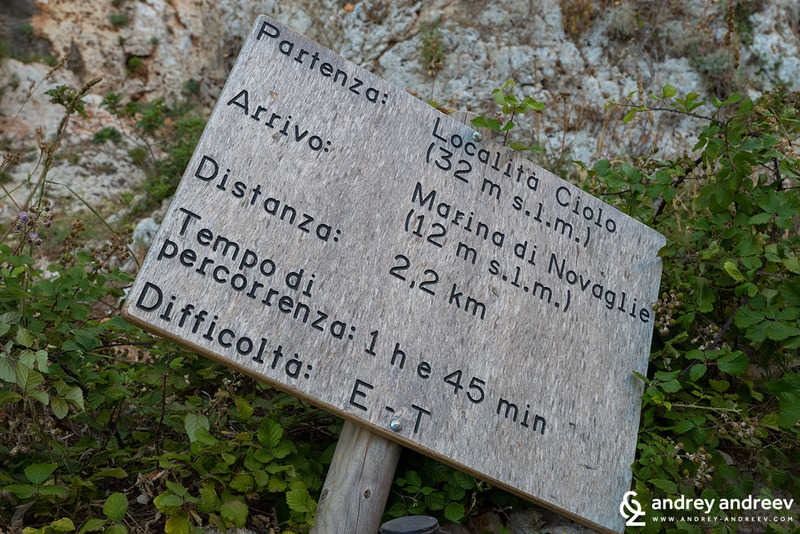 It starts from Ciolo fiord and ends at Torre Porto Marina di Novaglie. The route is not difficult, I actually found it easy. But avoid the hottest hours of the day and bring enough water. The time for walking the whole path is just under 2 hours. 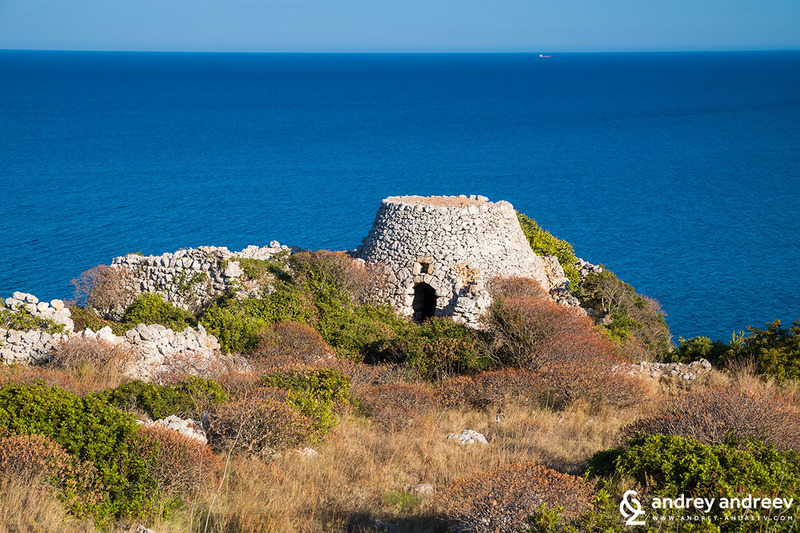 The small stone houses Pajare are a common attraction throughout Salento. I was amazed to see tens of old and new pajare spread in the whole area. 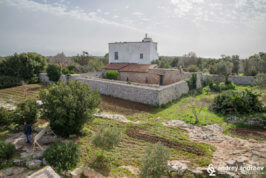 None of them was inhabited but once they were used for living or as villas. 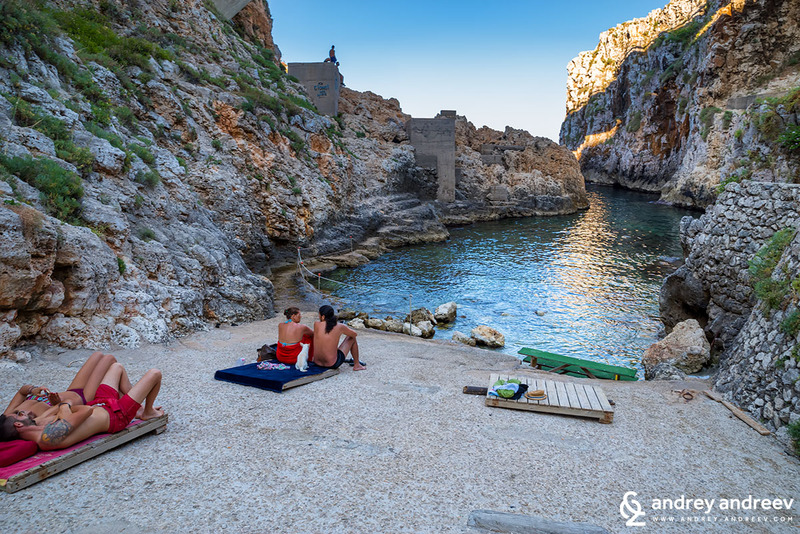 You can see such pajare also in Sicily. 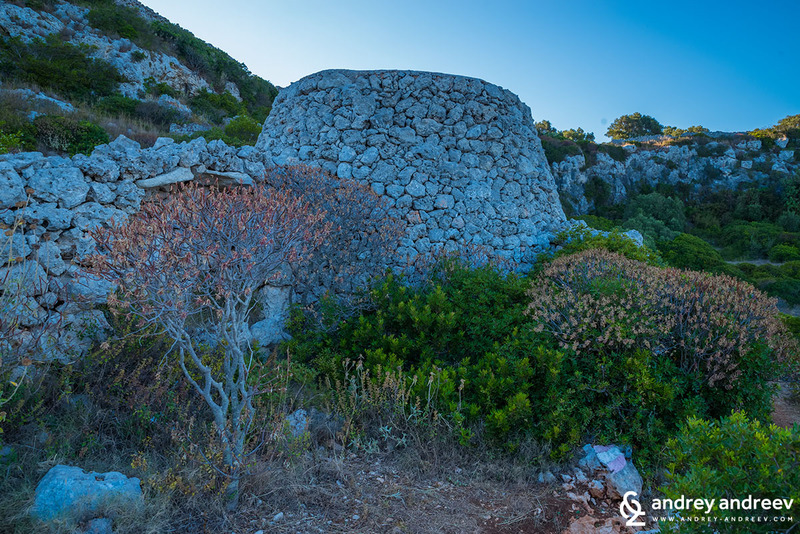 In South Italy you can also see their “cousins” – the trulli, like those in Alberobello. 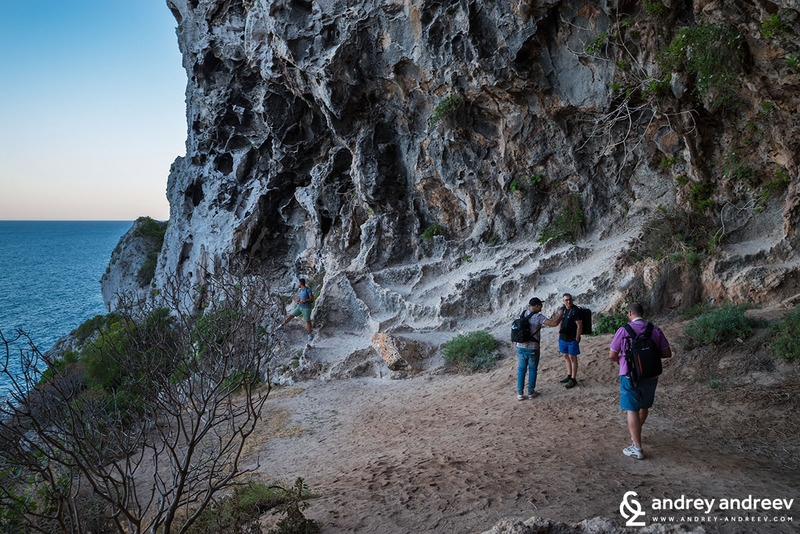 Cipolliane is a complex of several caves that give the name of the trekking route. 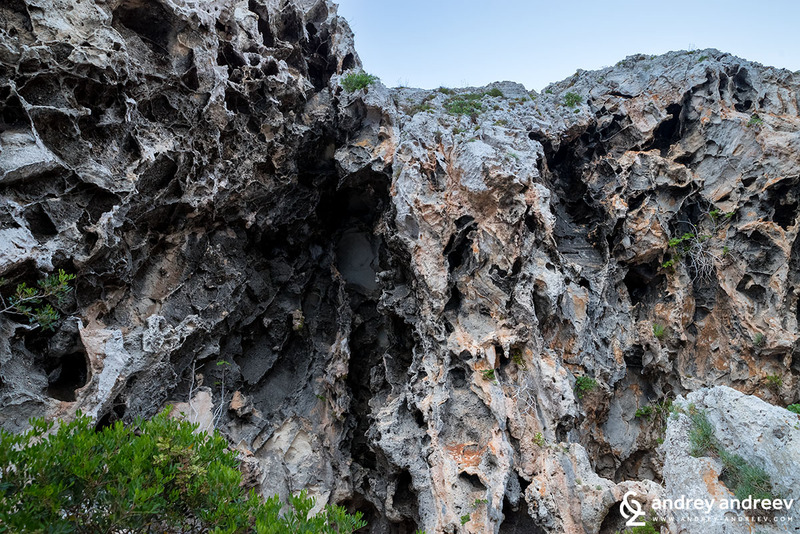 They are located on a rock 30 m above the sea level. Archaeologists believe that they were inhabited during the Paleolithic. Then at some point they were underwater and now you can see many shells on their walls, despite 30 m above the sea level. 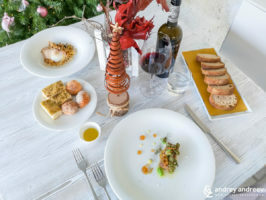 After our pleasant trekking we headed for a well-deserved rest to explore some other attractions of Salento – the extremely delicious local cuisine. Seafood has a notable place in it and someday Mimi will write a separate article about it. 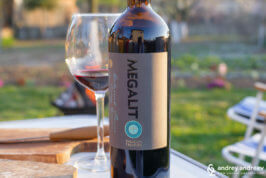 Then we will also mention the best restaurants in this area. 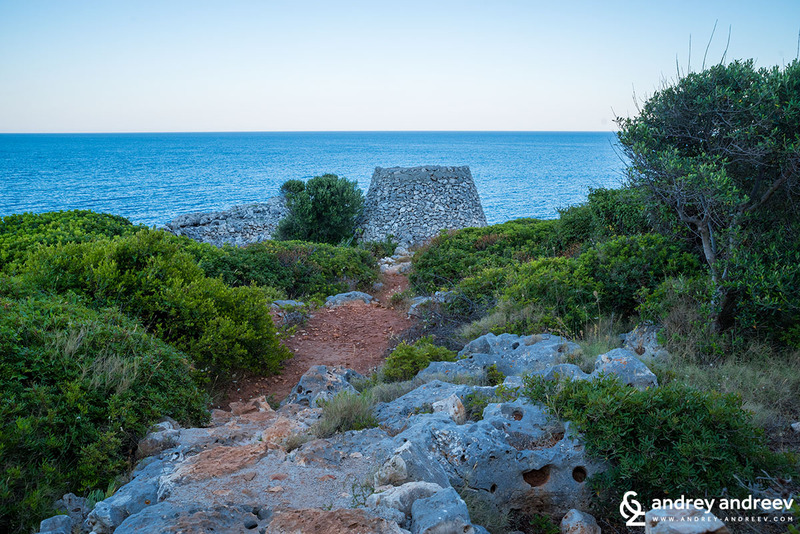 Salento is a geographical region in Puglia, Southern Italy. 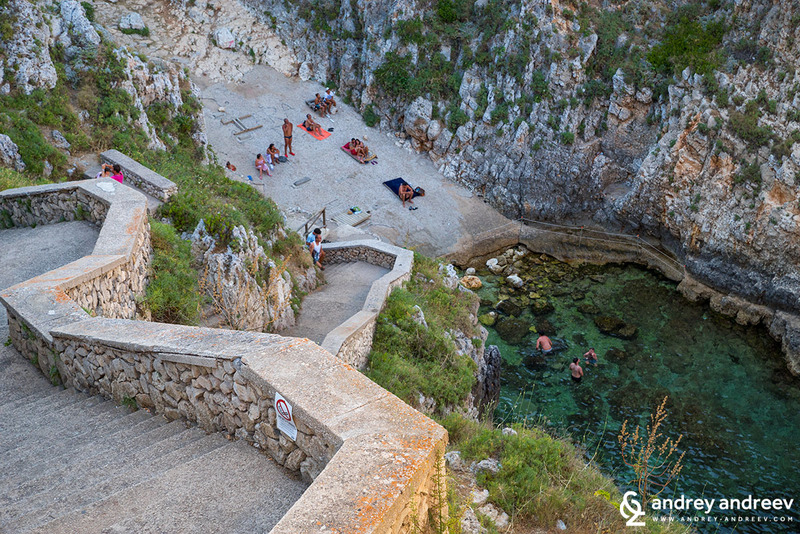 Salento us actually a sub-peninsula of the Apennine peninsula, known only as the “heel” of the Italian “boot”. 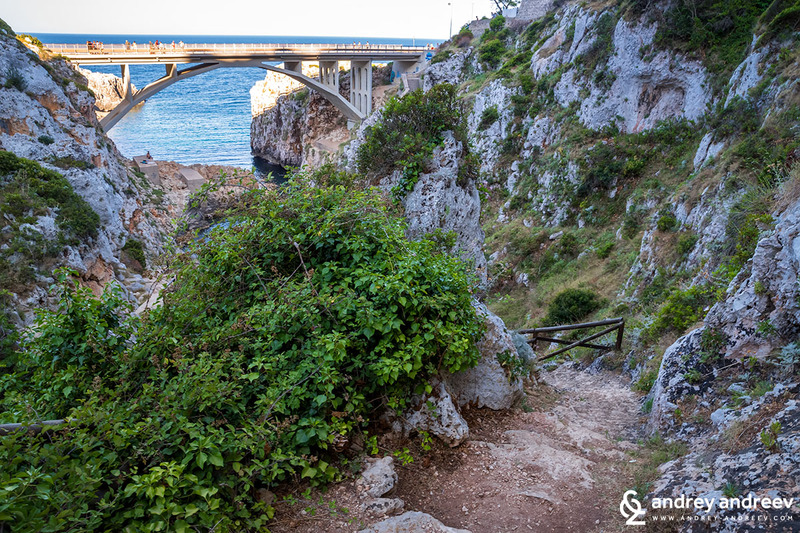 Its largest city is Lecce but our tours was in its southernmost part, near Cape Leuca. 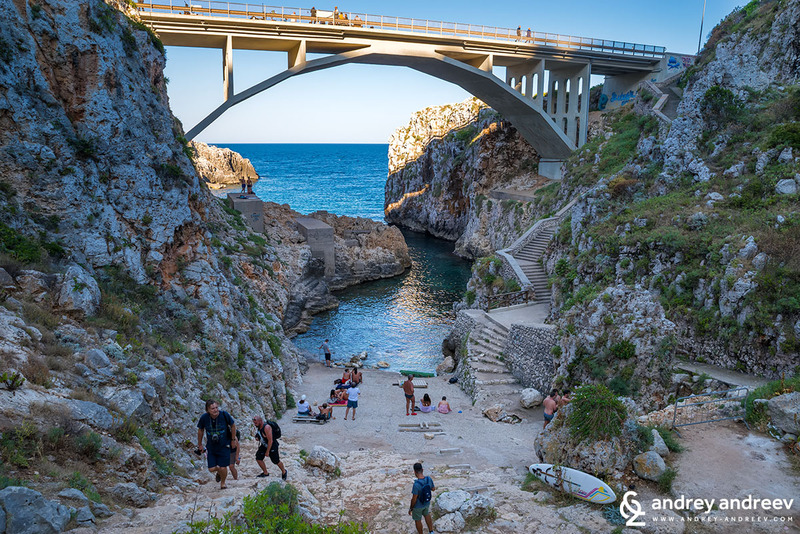 Our tour around Salento was organized by the Tiggiano municipality and we had many opportunities to enjoy our stay in lower Salento.